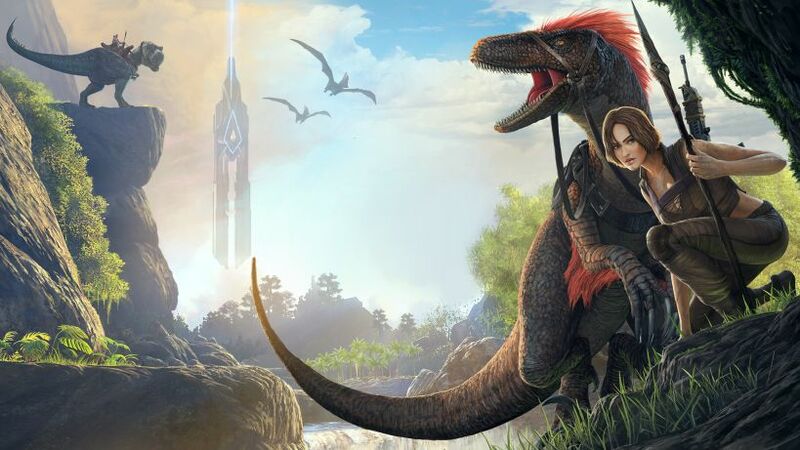 ARK update 759 for Xbox One is now available for download. ARK update 759 for Xbox One is now available for download. According to the changelog, the new ARK Survival Evolved update 759 comes with fixes and improvements to the game. TheCenter and PGMs now use TheIsland’s alpha spawner arrays as well as you will get new Achievement for defeating TheCenter bosses. Also, the Dragon boss no longer presents on TheCenter. In addition, the update has fixed the Bosses so they no longer have random levels but will scale correctly on game and server difficulty. Apart from this, the patch has added a sound to the UI Radial Menu, the implant has been locked to the first slot of inventories, Leeches have been added to the Swamp Cave and more. In addition, the developers are targeting Ragnarok update release on July 19th with Patch 760 for Xbox One users. Check out full patch details below. Update: A minor ARK update 759.2 for Xbox One is also now available. Fixed some translations not displaying properly. Fixed an issue on PvE and ORP servers where Dino would not have AI. ARK update 759.2 fixed an issue where LB+Button combo would not function when selecting items in hotkey bar. Fixed an issue where you would need to toggle folders to view items in your ARK Data. Chance of Wild Eels reduced by 33%. Wild Eels aggro range reduced by 33%. Yuty courage buff now provides +20% damage resistance. Fixed PvE (Players Vs Environment) ORP (Offline Raid Protection) performance stall. Fixed an issue where clients would crash when joining The Center or Ragnarok maps. TheCenter and PGMs now use TheIsland’s alpha spawner arrays. TheCenter lightning light flashes now stop after it has rained! Center Boss damage reduced by 33% versus TheIsland bosses. Fixed Bosses so they no longer have random levels, but will scale correctly on game and server difficulty. Primitive+: Crash fix for flying over an Explorer Note. [Console] No longer crash if generating a PGM after loading TheIsland. Significantly reduced the number of Arthros in Swamp Cave in ARK Survival Evolved update 759 . ARK update 759 improved MoveTo attack trace, should be easier to select smaller targets now. A whole bunch of split-screen bugs was resolved! Fixed a case where Megalania couldn’t climb Destructible Rocks -perhaps just on console? Torches on dino saddles now scare away Troodons. ARK update 759 fixed a case where Corpse Locator did not work reliably while underwater. No longer play time transitions when the player has no pawn. Added special corner icon on “skin” items to tell them apart from regular items. Attaching quality torches to saddles no longer converts them into primitive quality when the durability runs out. Fixed a case where remote inventories were not transferring to the appropriate folder. Gigas are no longer able to gather wood by eating snow trees in the snow biome. Boss Arena teleporter pads and obelisk pads are correctly colorized. Obelisk laser beam is now aligned with the terminal center. ARK Survival Evolved update 759 fixed case where some loading tips would be cut off. Now buttons which are selected appear brighter on the Main Menu’s Help menu. Improved LODs for various trees, twigs, branches, stumps, etc. The level up animation on the Mammoth no longer causes the player to become a gymnast. ARK Survival Evolved update 759 fixed a case where the Alpha Buff wouldn’t display on underwater creatures. Improved LODs for Woolly Rhino, Beaver, Camelsaurus, Ichthyornis, Daeodon, Stag, and Sheep. Wild Itchy now has a 20s delay on its theft attack and a 2500 radius for targeting player or tame after it’s found you. After Alpha Ascension, you should have access to the Rex Bionic Skin. After Defeating TheCenter End Bosses, on any difficulty, you should have access to the Giga Bionic Skin. Wyverns should now teleport to the Manticore Arena. There is now a 25% chance of fog with any rain! Polar Bear aggro range in the ice cave should be increased to something similar to the other hostile creatures in there. Baby Wyverns no longer consume too much milk. ARK update 759 fixed case where Gorilla LOD would be on low/fur would vanish from a distance. Moved any Explorer Notes previously found in the TEK Cave as it is a gauntlet dungeon and can be distracting for players. Gorilla Boss punch sounds adjusted. Pegomastax attack SFX are no longer vicious sounding. ORP Dinos should no longer have AI’s and thus not be particularly useful in a boss fight. ARK update 759 fixed a case where TheCenter would have no atmospheric fog. Hesperonis no longer teleports/pops back up to the surface after diving. If there is no inventory or harvesting component on a corpse, it will no longer display it the fact that <NAME> is dead. It is a larger patch which will replace old files (textures/DMs/etc) with better-optimised versions. The update download size is around (22.16gb Survival Evolved/5.4gb Scorched). Check your update and download latest ARK update 759 and ARK update 759.2 for Xbox One. SqcwCu Thank you for your blog.Really looking forward to read more. Cool.